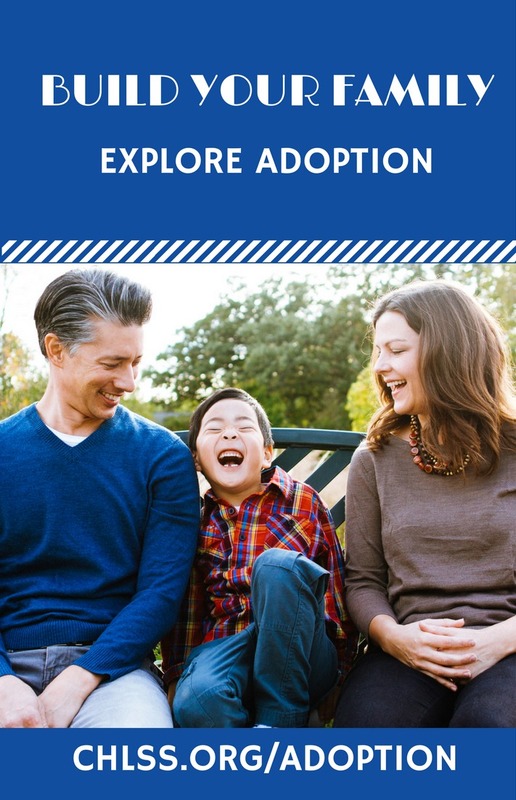 Should I Grow My Family Through International Adoption? Sometimes families ask, “What’s the proper etiquette when sharing a meal with orphanage staff”. Seating: One should wait to sit until the oldest person in the group take a seat. It is a sign of respect. The seat of honor reserved for the host or oldest person, is typically facing east or facing the entrance. Others with higher status then sit in close proximity to the seat of honor, while those with lower positions sit further away. When the foods are served, it is proper to let older people take the first bite. Sometimes a host might try to serve the food to a guest by using the serving spoon or even their own chopsticks to put food right into your bowl/plate. To be respectful, just take the first offer. You may say “thank you, I will help myself later”; or “I am fine now, go ahead to help yourself.” These are better words than saying “NO, thank you”, as that will come across negatively and the host can lose face. People are accustomed to family-style shared meals. The serving spoon is available but not popular to use. Often people will just put personal chopsticks in serving dishes. Please keep in mind that this is how people do it every day. So, please do not be surprised if this happens while you are having lunch with orphanage staff. In China, the phrase “rice bowl” has another meaning, which is “job” or livelihood. We were taught when we were young to hold the rice bowl tightly while eating, so we do not lose it. It also means “do not lose the job” so you can make a living. 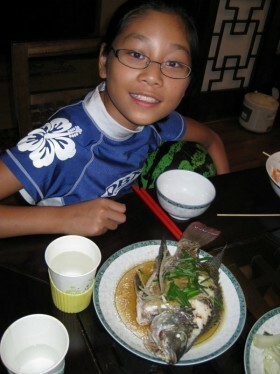 As a child, we would be punished if we only eat with chopsticks and did not hold the bowl. Chopsticks should always be the same length and held so that the ends are even, a practice popularly explained as due to the former use of uneven boards (????) in Chinese coffins. Similarly, do not leave chopsticks sticking upright out of dishes, owing to a Chinese practice of leaving such dishes for the dead, and visual similarity to burning incense for the dead. Chopsticks are not used to move bowls or plates. Do not bang your chopsticks as though you were playing a drum. It implies you are a beggar or a child. Treat chopsticks as extension of your fingers. It is impolite to use them to point at other people or to wave chopsticks around. Avoid spearing food with the chopsticks. One should not 'dig' or 'search' through one's food for something in particular. This is sometimes known as "digging one's grave" or "grave-digging" and is extremely poor manners. When not in use, and if the restaurant provides them, place the front end of the chopsticks on the chopstick rests. These are usually small ceramic rests placed near your napkin on the right hand side of your bowl. Knives are traditionally seen as violent in China, and breakers of the harmony, so are not provided at the table. Some restaurants in China have forks available and all will have spoons. If you are not used to chopsticks, you can ask the restaurant staff to provide you with a fork or spoon. Tea is almost always provided, either in advance of the diners being seated or immediately afterward. It can be consumed at leisure throughout the meal. (Water is sometimes served, but tea is the default beverage.) A verbal "thank you" (?? ; xiexie) may be offered to the server pouring the refill or, if in the middle of a conversation where it would be rude to interrupt the speaker, the table may be tapped twice with two bent fingers instead. Expect times when people will talk with food in their mouth, or smoke during the meal. Try to accept it as it is. Chinese people may eat several courses and do so quite leisurely, however, once the meal is finished, they may immediately stand up and leave, even though you might not be finished yet. Don’t be offended, this is the normal way. If you have questions regarding what is the proper action to take, discuss with your guide/translator who is expert at navigating these matters. If you want to explore some wonderful travel options, visit www.lotustours.net for a full array of exquisite tour choices!